It looks like there is a lot of action going on at Tesla‘s giant Gigafactory. The factory, which is located in Sparks, Nevada, is where Tesla is producing the battery cells for its electric cars and drive trains for its Model 3, the company’s first mass-market electric car. Tesla aims to ramp up production of its Model 3 to some 20,000 units per month by December and some 10,000 units per week in 2018, CEO Elon Musk has said. But in order for the company to meet these lofty goals, it must also ramp up battery cell production. That’s where the Gigafactory comes in. New drone footage posted by YouTube user California Phantom last Thursday captures the factory’s massive size, but it also appears to show a lot of work happening at the factory. 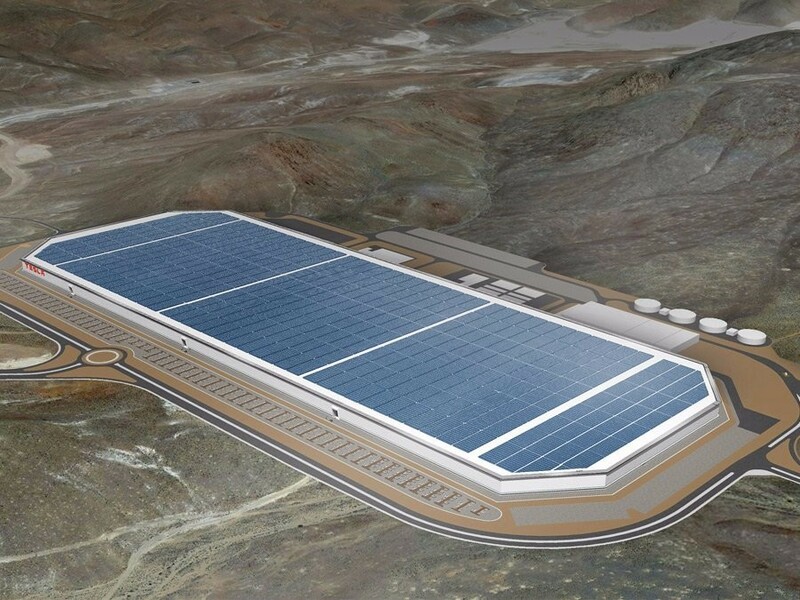 The Gigafactory will be more than five million square feet (including several floors) once it’s completed, and it will be capable of producing more battery cells than any other lithium ion battery factory in the world, Musk has said.